Positioning and Tracking: Use the on-line Positioning Platform or the cell phone to locate the exact location , distance , speed, direction of vehicle on a map. Triggering Emergency Alarm: Press the SOS switch to send out alarm to authorized numbers. Remote controlling oil and circuit: you can control the oil and circuit via the unit by SMS anywhere and anytime. Remote Monitoring: Remotely monitor vehicle from your computer, blackberry, tablet or other mobile. Over speed Alert: Send SMS to the unit to start the movement alert function. When the vehicle over speeds, the unit will send the overspeed alert to all authorized numbers. Geo-fence: Set up a geo-fence for the unit to restrict its movements within a district. The unit will send the message to all authorized numbers when it breaches the district. Blind report: When there is no GSM signal, it auto stores GPRS location data. 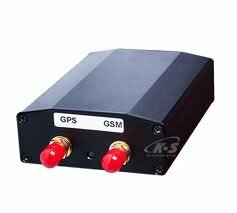 Once GSM signal is established, it then reports the GPRS data. Fuel levels can be monitored on the VTS Platform. You can remotely listen to sounds within 5 meters of VTS system. Avoid misuse of vehicle by Drivers and others.